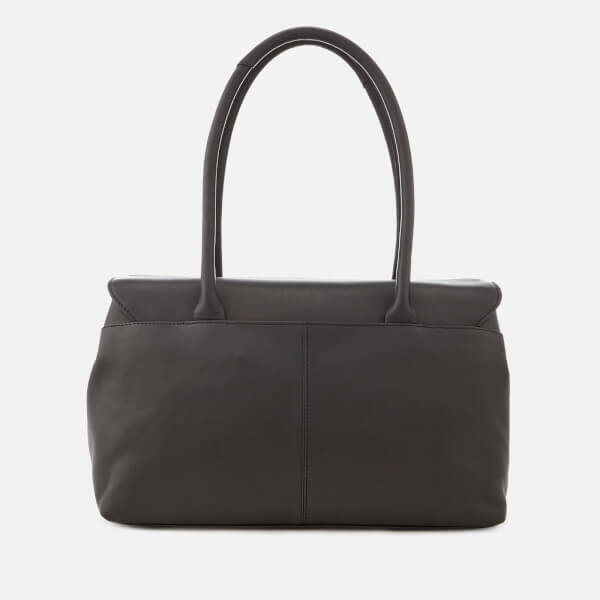 Radley smooth black leather shoulder bag. 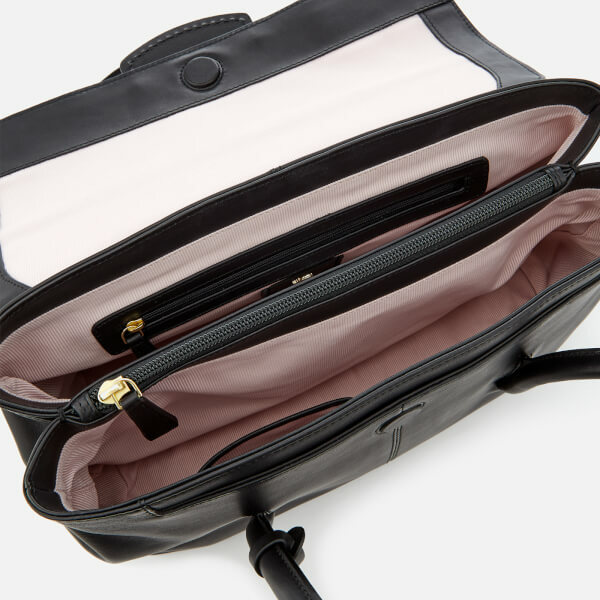 Designed with a fold over front with a magnetic clasp fastening, the ‘Burnham Beeches’ handbag comprises two lined compartments divided a central zip pocket, two slip pockets and a zip pocket to one side. 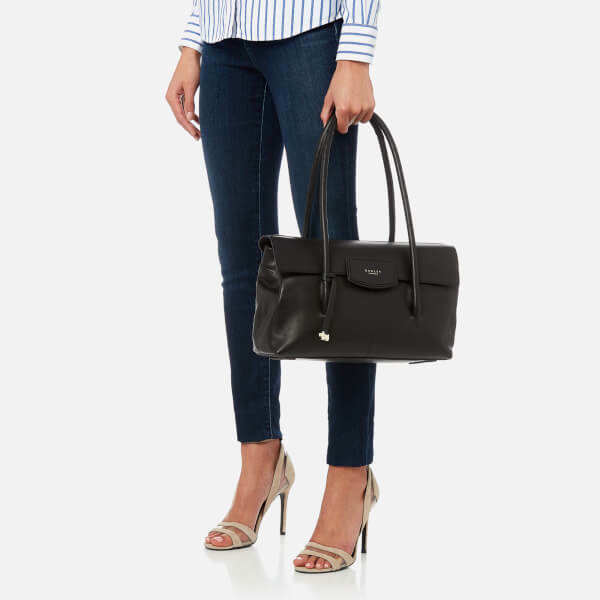 Transported via dual rolled shoulder straps, the bag is detailed with a hidden slip pocket to the front, a rear slip pocket and a detachable Radley dog charm. 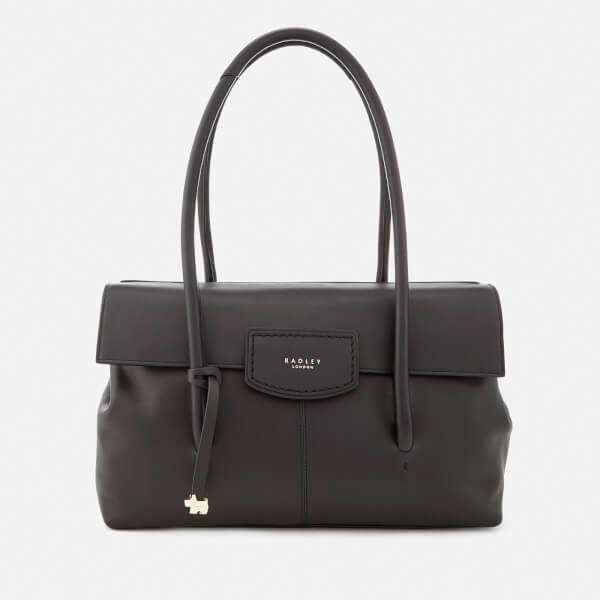 Complete with a stitched brand patch to the front, gold-tone hardware and presented in a Radley dust bag. Dimensions: H: 22cm x W: 33cm x D: 12cm. Strap Drop: 22cm.